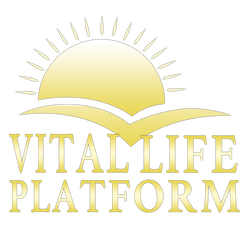 Enzyme Education | Vital Life Platform - Vital Life Platform | Better Than Ever! Discover how enzymes can greatly enhance your assimilation of nutrients and repair and rejuvenate your cells, leaving you radiant, strong and vibrant with an abundance of energy and tremendous core strength. All of life’s processes, from birth to death, depend on the actions of enzymes. Enzymes are responsible for the functions of every system in our bodies. ​Enzymes allow us to be able to digest and absorb our food. However, many people do not realize that enzymes also make it possible for us to see, hear, smell, taste, breathe, move and even think. Good health depends on all of the body’s enzymes doing an excellent job. We must make sure that nothing interferes with our bodies manufacturing of enough enzymes, or we can be in serious trouble. A wealth of enzymes is assurance that your body is functioning at its best, with high energy levels and a strong immune system. If you are interested in superior health, vitality, overcoming illness, losing weight, and longevity, this booklet is for you. This booklet explains how food enzymes function, why they are so important, and why we are so susceptible to degenerative disease, obesity, and chronic illness. ​It explains how we can stop risking our health by depleting the body’s enzymes. This fascinating booklet will help you begin today to rejuvenate, reinvigorate, and revitalize your life with the gift of enzymes. "Enzymes are my secret weapon against disease & aging - something I will never be without - if you do only one thing, try adding enzymes to your lifestyle." Without enzymes, life itself would not be possible. A dearth of enzymes leads to chronic, degenerative disease and premature aging. Enzymes work as the ‘labor force’ of your body system. All metabolic processes require mediation by specific enzymes. Enzymes, extremely heat labile, are your passport to prolonged youth and increased vitality. The rejuvenating and therapeutic effects of raw food enzymes can be beneficial to our health! ​An enzyme rich diet of predominately raw foods can contribute to safe, effective, and rapid weight control. Cooked food, even though fortified with vitamins, can lead to disease. societies can be attributed to their consumption of high-enzyme raw ​food. Dr. Edward Howell, a pioneer researcher in food enzyme and human nutrition, was born in Chicago. After obtaining a limited medical license from the State of Illinois, he spent six years on the professional staff of the Lindlahr Sanitarium, a well-known ‘nature cure’ hospital predominantly utilizing nutrition and physical therapies. 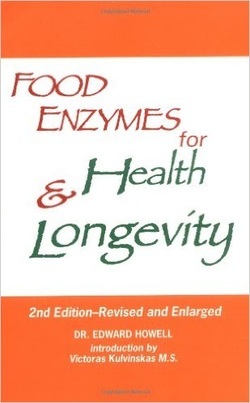 Get Food Enzymes for Health & Longevity! Enzyme Nutrition represents more than fifty years of research and experimentation by Dr. Howell. He shows us how to conserve our enzymes and maintain internal balance. As the body regains its strength and vigor, its capacity to maintain its normal weight, fight disease, and heal itself is enhanced.